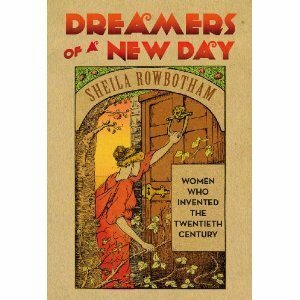 In a review of Dreamers of a New Day: Women Who Invented the Twentieth Century , Kerry Howley discusses the varied visions of feminism by women at the turn of the century. She contrasts this with the "comparative tininess of today's tent." Today's feminism has given way to capitalism and pushes women to be CEOs and corporate elite. It's too concerned about consensus and bridging generational differences. Howley seems to miss the free-for-all of early feminism as women searched for their own definitions of empowerment and utopia. I suppose you can't have a movement without consensus. But Howley's review really sparked my interest in this book and these early feminists. Maybe it's time to resurrect some old ideas.